Fans of DC Films hoping for a new Superman film — whether a sequel to 2013’s Man of Steel or another try at making a Justice League movie — received some disappointing news on Wednesday. 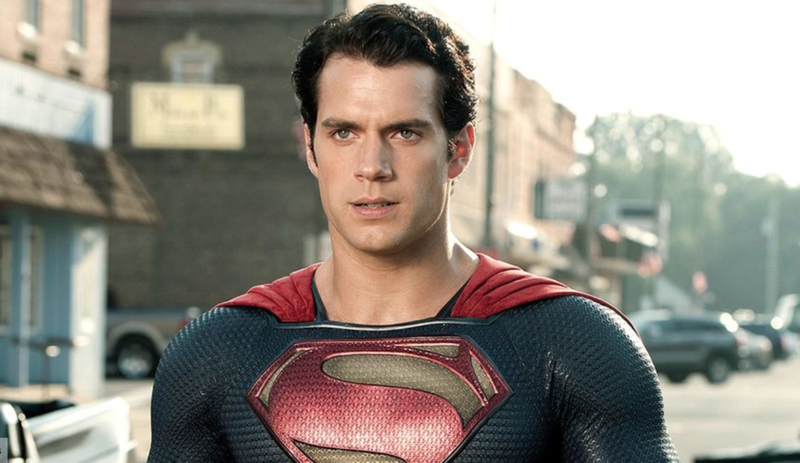 The Hollywood Reporter’s Tatiana Siegel and Borys Kit reported that Warner Brothers has decided to move on from its rebooted version of the Man of Steel portrayed by Henry Cavill. Apparently, the deal-breaker was Cavill’s people and the studio failing to reach an agreement for Cavill to make a cameo in the upcoming Shazam! as Superman. With no plans currently in development for a new solo Superman film, WB believes it’s time to put Superman on the shelf. Talks fell apart between Cavill and WB because of scheduling conflicts with Mission: Impossible - Fallout. (Would there have been a digitally erased mustache in that movie as well?) Cavill was recently announced as the lead in Netflix’s adaptation of The Witcher books and video games. That commitment made it doubtful that Cavill would be putting on Superman’s red cape anytime soon. However, a source told THR that Cavill signed on for The Witcher after negotiations fell through with WB. Another big factor in the studio deciding to move on from a Superman sequel is its intention to shift focus to a Supergirl movie. In early August, WB announced that it was developing a film about Superman’s Kryptonian cousin and if the movie follows the comic book mythology closely, the character would be a teenager when Kal-El is an infant, meaning there would be no role for an adult Superman. Whether it’s the popularity of CW’s Supergirl TV show (in which Superman, played by Tyler Hoechlin, is a recurring part of the series, by the way), a desire to reach a younger (and female) audience, and/or maybe a belief that a Supergirl movie could be both less expensive, WB obviously believes that this is the proper direction to pursue, rather than put more money in a Superman film when Man of Steel was a modest hit and both Batman v Superman and Justice League were considered critical and box-office failures. As DC Films also tries to move away from a Marvel-like shared universe for its superhero films, favoring more standalone projects like the upcoming Joker movie starring Joaquin Phoenix, perhaps the studio also likes the idea that a Supergirl project wouldn’t be as tied to the DC cinematic universe, nor carry the baggage burdening Cavill’s Superman from the three previous films in which he appeared. But really, this is also the result of Warner Brothers and DC Films not knowing what to do with Superman. DC’s cinematic universe should be built around DC Comics’ flagship character, arguably the most well-known superhero around the world. Look at the role that he’s played in other adaptations such as Super Friends and the Justice League animated series. Look at how many of DC’s animated films feature Superman (most recently a new adaptation of the “Death of Superman” storyline). Yet it’s never seemed like WB really knew what to do with Superman, other than knowing he was one of the company’s iconic properties and should be featured in a blockbuster movie franchise. I enjoyed Man of Steel — and continue to defend it — but many detractors felt that Zack Snyder didn’t know what makes Superman special and depicted a warped version of the character. I’ve always said that this was Clark Kent learning to be Superman and we’d get the familiar version of the Big, Blue Boy Scout in future films. Unfortunately, Snyder and DC Films doubled down on the sullen, alienated version of the hero. Believing that the world would be fearful of an alien with abilities with which he could take over the world was a good starting point. But continuing with that, rather than developing the character and demonstrating why he’s such an iconic hero, was a huge mistake. WB’s decision to shoehorn Batman into a Man of Steel follow-up and rush to a Justice League to compete with Marvel’s Avengers franchise undercut the opportunity to build a big-screen Superman that could ultimately have been appealing, the cornerstone of the DC cinematic universe. Instead, Cavill’s Superman became the embodiment of everything that was wrong with DC’s movies. They were dark and gloomy, rather than hopeful and optimistic. Now, rather than try to fix Superman, WB apparently just wants to throw its hands up and try something else. (According to Deadline, the studio was looking at casting Michael B. Jordan down the road.) In the process, the studio may lose a young actor who had a chance to be a great movie Superman, who looks like the comic book character brought to life, who understands what makes him a special character and what he means as a symbol. What a waste. Personally, I like Cavill as an actor and believe he hasn’t had a chance to show much range in his three Superman appearances. He was good in The Man from U.N.C.L.E. and solid (though at times a bit stiff) in Mission: Impossible - Fallout. I think he’d make a great James Bond, young enough to play 007 in multiple films. However, it might be hasty to say DC is completely walking away from Superman. Maybe there’s some reason for optimism, after all. Producer Dany Garcia, who’s also Cavill’s agent and an executive producer on Shazam!, tweeted the following shortly after the Cavill news was reported. Since Superman was supposed to make an appearance in Shazam!, maybe Garcia knows what’s in store or even has a direct role in the future of the character in a brighter, more fun slate of DC movies. Will this entire post have to be walked back? Was that initial report incorrect? I certainly don’t like wasting 900+ words. But I’ll live with it if WB and DC Films figures out what the hell they’re doing and realize that they have a good thing in Cavill as Superman. Get this right, people.